In this article I am going to provide You with the full details related to NEET UG Counselling 2018; so go through it carefully. NEET UG Counseling 2018 is being conducted for admissions in MBBS and BDS courses. This single window counseling is a great pathway to get admission in various government, private or deemed universities throughout the country. It is a national level counseling which is being conducted every year to offer a chance to NEET UG eligible students to join medical & dental colleges in India. NEET UG Eligible students looking forward to grabbing the chance of getting admission in one of the topmost medical institutions of the country this year; it is a golden opportunity for them. All you need to do is just to pass NEET-UG entrance exams and fill up the online registration form carefully. Around 6 lakhs students have qualified NEET UG 2018 entrance exams out of 13.5 lakhs students who have appeared in the entrance exams. 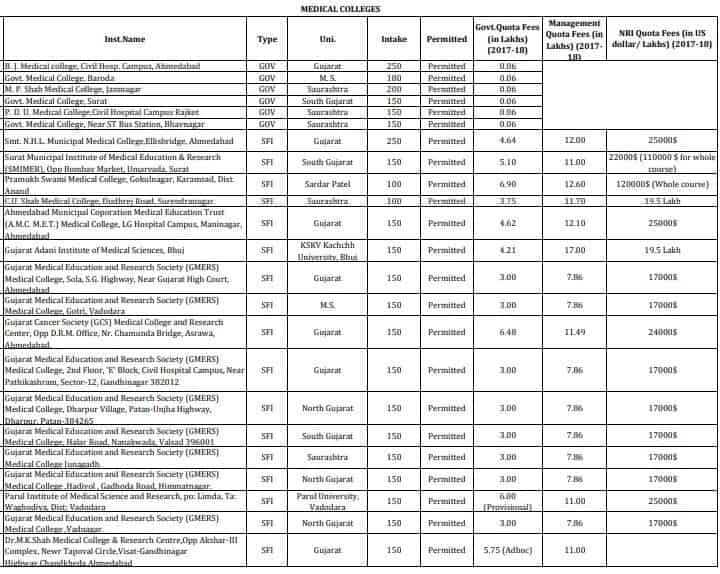 Cut-off Marks for NEET UG 2018 entrance exams is 119 for Unreserved Category and 97 marks for SC, ST & OBC Category students out of 720 marks. Those who have scored more than Cut-off marks are only eligible to participate in NEET UG 2018 Counseling. Also, eligible students will be given an All India Rank based on the marks scored in the NEET entrance exams. For students who failed to achieve the cut-off marks cannot participate in the counseling for MBBS, BDS admission in India. Also, you cannot join MBBS college abroad as per the latest rule of MCI from 2018 onwards. NEET UG Counseling will be conducted by the DGHS, on behalf of the MCC for admission to 15% All India Quota seats, 100% seats in Deemed medical colleges & Central Universities. Counseling for 85% state quota seats in private colleges and government colleges will be conducted separately by State Medical Counseling authorities of the respective state and union territories of India. You can register separately for 15% all India quota seats through Medical Counseling Committee Online portal. Also for Deemed medical colleges in India, eligible students can register separately through the same online portal by visiting MCC website. 15% All India quota seats will be given to students who have secured a good rank in NEET UG entrance test. There are around 10 thousand seats available in 15% All India Quota seats which you can apply under All India quota counseling. For Deemed medical colleges counseling anyone can apply who have passed the neet ug entrance test 2018. Deemed medical college in India has more seats for MBBS & BDS courses all Over India. Most of the deemed medical colleges are situated in Maharashtra, Karnataka, Tamil Nadu. 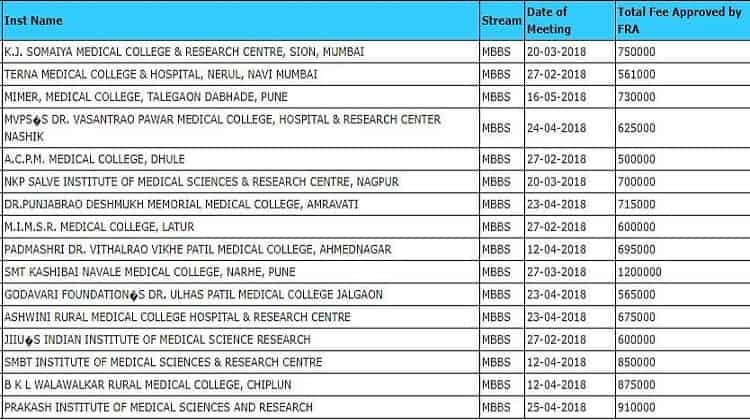 Counseling Schedule for state quota seats will be announced by all states & union territories medical council authorities websites and dates will be declared parallel to all India counseling to avoid any conflict. For 85% State quota MBBS & BDS seat allotments will be done separately following the rules and regulations as mentioned in the information brochure which will be announced by the state counseling authorities. Most of the state counseling only allow domicile students to participate for merit seats however for NRI & Management quota seats you can apply as per the eligibility criteria. The MCC will release the college wise seat matrix which will contain the details of various seats available in every Government & Deemed medical, dental colleges across the country. The seat matrix will be declared on MCC Website to help you choose as many colleges before the allotments of the seats. Declaration of Seat allotments results for all India seats, Central Universities & Deemed medical colleges will be announced together as per the schedule. There are no restrictions on the number of choices submissions at the time of online form filling. You can go choose as many colleges you want. However, the choices you made should need to be in the order of preferences. The seat allotment is being done on the basis of choices submitted by the qualified candidate in the preferences given and as per the availability of the seats. So before locking the choices, you need to check them carefully. In case if you are seeking any modifications you can do it previously before the locking process once it is locked you can’t alter any changes in the choices preferences. In case if the candidates have not locked the choices submitted it will get automatically done at notified date and time. One thing you again need to keep in mind is to take a printout of your preferences made so as to use it in future. Online non-refundable registration fees for 15% All India quota seats, Central Universities, ESI & AFMS is 1000 INR for Unreserved students & 500 INR for SC, ST & OBC students. Refundable security deposit for 10000 INR for Unreserved students & 5000 INR for SC, ST, OBC & PH candidates. Online non-refundable registration fees for Deemed medical colleges is 5000 INR for all students and Refundable security deposit of 2 Lakhs INR. In case If You want to register for both All India Quota & Deemed medical colleges you must pay the higher fees i.e 5000 INR nor refundable fees and 2 Lakhs INR security deposit. The security deposit will be refunded if you take a free exit after 1st round of seat allotments. The security deposit will not be refunded if you quit a seat allotted in the second round of counseling or Mop Up round. Also, the security deposit will be not be refunded if you have given wrong information at the time of online registration which will lead to cancellation of your seat allocated by the respective authorities. You have to fill in the required registration form along with the required payments and choices submissions. You really don’t need to present any documents during the time of choice submission and at the time of Counselling. Once you enter your NEET Roll Number into the MCC online portal it will automatically show up all your details and you can proceed further. As we all knew that it is an online form submission and seat allotment process which you can do it from your place as per your convenience. However, you need to carry the attested photocopies of all of your academic documents along with the original one during the time of reporting for admission. If you don’t have the original documents at the time of reporting to the college you will be not allowed to get admission in the allocated college. The seat allotment for MBBS & BDS courses is being done on the merit basis as per your NEET UG All India rank. If you get a seat allotment in counseling you need to report to the allotted institute for the same, and if you do not get a seat allotment you can apply for the second round along with the fresh choice filling. After having seat allotment in the first round, if you are not satisfied with the seat allotted and needed for up-gradation, you can also apply for the second round along with fresh choices submission. The seat allotted in the round 1 gets automatically canceled immediately once you have opted for the up-gradation option and hence further are allowed to get registered in the second round. But if you have joined the college allocated in the first round you are not eligible to participate in any other round of Counselling and hence the related authorities prohibit you to participate in any other Counselling. If you get a seat allotment in the first round then you are only allowed to either quit the seat allocated or go for up-gradation in the second round. If you get an upgraded seat in the second round you must join the same college otherwise you cannot participate further in Mop Up round. If you still fail to get a seat in first round & second round counseling, then You can also apply for the Mop-up round to get admission for the left seats in deemed university and central institutes under MCC NEET UG Counseling. 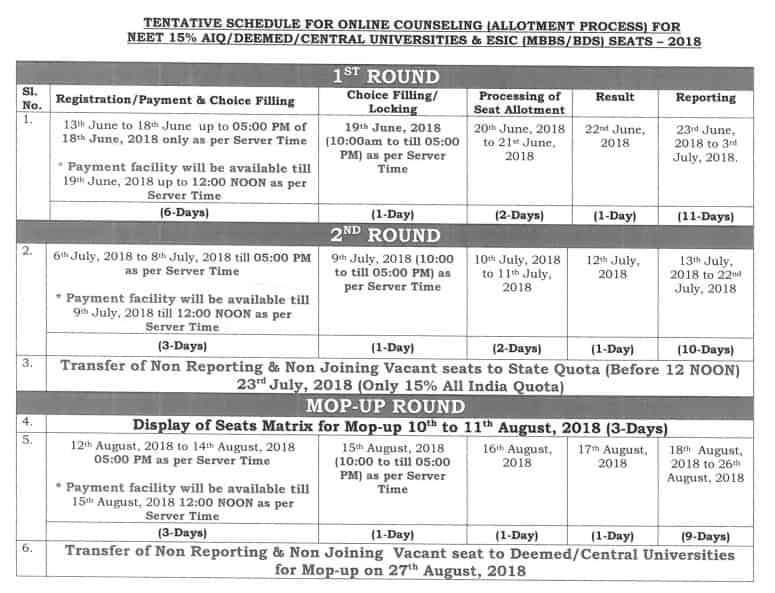 You can apply for the MCC NEET UG mop-up round counseling, only if you don’t get a seat in the first or second round of NEET counseling for Deemed and Central universities. If you were allotted a seat in round one or two but didn’t report or joined the allotted college will not be eligible to participate in the further counseling process. At the reporting time in the allotted medical or dental college; you need to produce a set of attested photocopies of your academic documents along with the original documents. If you have successfully qualified NEET-UG entrance test but haven’t scored a good percentile chance are that you may not get a seat for MBBS, BDS courses under All India quota seats. Under MCC Deemed medical counseling you may get a 100% assured seats as there are more seats in Deemed medical colleges. 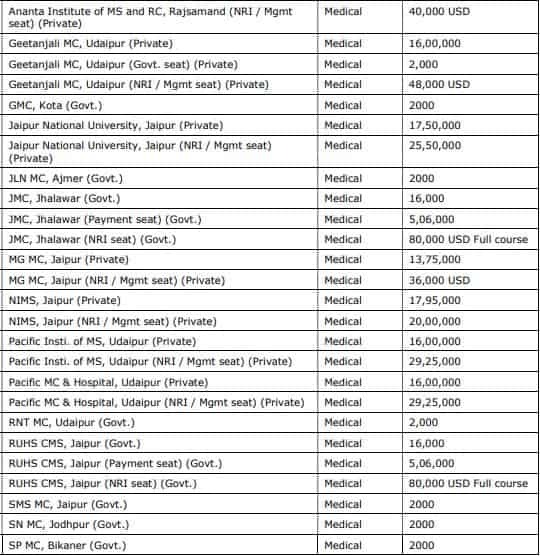 As you know deemed medical colleges ask for fees starting from somewhere around 8 to 9 lakhs per year which goes up to 25 lakhs per year. As the fees are unaffordable for many students seats remains vacant even after Mop Up round for most of the high budget colleges. 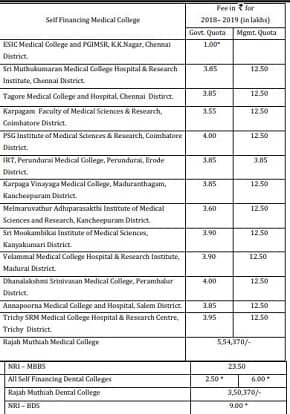 For those who have got an average score in NEET UG entrance exams ends up taking admission in deemed medical colleges by paying the high tuition fees. Generally Deemed colleges seats with fees of more than 15 lakhs per annum remains vacant as it is unaffordable for many students who have qualified the NEET UG Cut-off marks. Those vacant seats are returned back to the respective colleges after conducting 3 rounds of counseling. You can also walk-in to the college campus to take admission for those seats after the Mop Up counseling if you don’t get a seat anywhere in state quota counseling. Only thing is that you have to pay high tuition fees per annum for an MBBS seat in Deemed medical colleges. If you are interested to join Deemed medical colleges then you must choose the colleges as per your preference to get a seat allotment through MCC Deemed medical counseling. 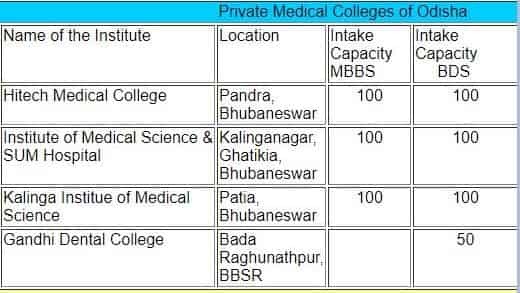 For Deemed medical colleges seat counseling will be conducted in 3 rounds by MCC to allocate the seats to students are per the college options and merit. Just fill in the Online Medical Counselling form at http://mcc.nic.in. You need to make registration here along with the required payment and submission of choices, indicative seat allotment, modification, and lock. Once done successfully, MCC will organize first round of seat allotment. The results for the first round will be published and You can check the seat allotments on the MCC official website. If no seats have been allocated to you in the first round you can apply for the second round along with the new candidates as well. You need to make new and fresh choices in the second round as the prior ones get nullified automatically. If you have been allocated a seat in the first round then You need to report to the allotted institute to complete the admission formalities. If You are willing to up-gradation in the second round and are not interested in seeking admission in the allotted seat they can also apply for the 2nd round. For appearing in the second round of online allotment process You need to go for fresh registration along with the fresh choice submission. Group 1: Registered Candidates who do not get a seat in the round 1. Group 2: Registered Candidates who do have canceled their seat allotted due to various reasons. Group3: Fresh registered students applying only in Second round counseling. While opting for the second round of Counselling you need to fill in their new and fresh choices submission as the previous one will treat as null or void. After the publishing of second-round results of Counselling, You need to report to the allotted institute along with all the required payments within the given time frame. If you have allocated an upgraded seat you can not resign or leave the seat at any cost. If no seat allotment is done You can appear for the Mop-up round offered by DGHS along with the fresh choices again as the previous one will consider as null or void. Once the result publishes you need to report to the allotted deemed or central universities in the prescribed period of time. The seats which remain vacant due to the non-joining reasons, send back to the deemed or central universities. Deemed medical colleges seats which are not allocated to anyone after conducting 3 rounds of counseling are reverted back to respective colleges. Those seats are quite costly that’s the main reason these seats are not occupied by any. If you have registered for the counseling and not got any allotments through the counseling, You can also grab these seats by visiting the college campus in person. If you want to take direct MBBS admission in Deemed medical colleges, You must register for the counseling and pay the security deposit, take a free exit after 1st round of seat allotments. Your security deposit will be refunded and Your Name will be registered in the MCC Counseling list. The same list will be used by all Deemed colleges where seats are vacant to give allotment to the students who approach the college in Person after Mop Up round. Our consultancy only deals with stray vacancy seats in Deemed medical colleges in India. Those of You who have got an allotment of seat in the 2nd round or Mop up round will not be allowed to participate in stray vacancy counseling. 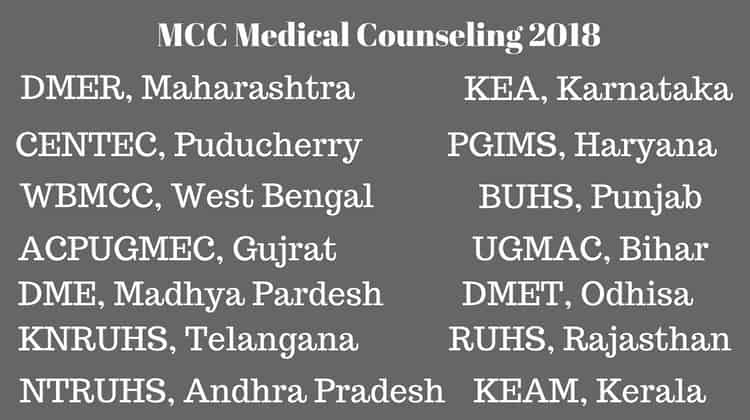 Also, those of You who have not registered for the MCC counseling will not be eligible to join these vacant seats in Deemed medical colleges. Apart from MCC Deemed Medical Counseling, 85% of MBBS BDS seats are available under State quota counseling. For those seats, You just need to apply separately from the respective counseling authorities websites. Also, You must go through the information brochure which will be published by the respective counseling authorities. 85% State quota seats include MBBS, BDS seats under Private & Government colleges in the respective state & Union territories. Private colleges have 20% of seats reserved for NRI, OCI, PIO & Management quota seats apart from merit seats. To apply for MBBS BDS State quota counseling you may need to fulfill the domicile criteria for merit seats. You must have studied your class 10th & 12th form the same state where you will be applying for the counseling. If you belong any other state you must read the eligibility criteria before you apply for state quota counseling for most of the respective state’s counseling. Also for state quota counseling, You must come in person for documents verification after applying the online application form. Some of the state’s counseling authorities such as KEAM, DMER, ACPUGMEC don’t allow outside state students to apply for Merit or management quota seats. NRI students must apply counseling but preference will be given to those NRI students who belong to the respective state. Also, if you are an NRI Student you must have the eligibility criteria to apply under NRI quota seats otherwise your application will be canceled. 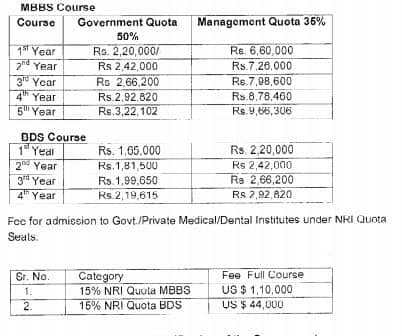 Andhra Pradesh MBBS BDS counseling for 85% of state quota seats will be conducted by Dr. NTR University Of Health Sciences (NTRUHS), Vijayawada, AP. The notification and counseling details will be announced on Andhra Pardesh Private Medical & Dental Colleges Managements’ Association (AP MEDCO) website. Andhra Pradesh domicle students, NRI, OCI & PIO quota students are eligible to particapte in the state qupta seats counseling. Students of Andhra Pardesh & Telangana state origin who have resided in AP for 10 years and complete their higher education outside the state are only eligible to apply for unreserved quota seats. 15% of the seats are reserved for scheduled caste and 6% for scheduled tribe students. If the seats under reserved category remain vacant it will be converted to open quota and allocated to Unreserved category students. Undergraduate medical admission counseling (UGMAC) for admission in 85% of Medical & Dental seats in Bihar will be conducted by Bihar Combined Entrance Competitive Examination Board (BCECEB). Bihar domicile students are only eligible to apply for government & private medical & dental quota seats in Bihar. Other state students are eligible to apply for Management quota seats in Private medical & dental colleges of Bihar. You can register for Online counseling through BCECEB online portal. Cost of the online application registration form is 1200 INR for Unreserved category & 600 INR for SC, ST category which can be paid online or via bank challan. Gujrat MBBS, BDS Admission Counseling for will be conducted by Admission Committee for Professional Undergraduate medical courses (ACPUGMEC). Only Gujrat Domicile students are eligible to apply for the Gujrat State quota counseling. To apply online you must have to purchase an Online Pin Code by paying a 200 INR Online. Only NRI Students are eligible to apply for Gujrat State quota seats. Before going for option locking you must complete Document verification by visiting in person to the respective verification center. For NRI Students documents verification & submission will be done at the office of ACPUGMEC, GMERS Medical College, Gandhi Nagar, Gujrat. Also If you are applying under NRI Quota seats you must submit a demand draft of 10 thousand INR payable to ACPUGMEC. Haryana MBBS, BDS Counseling will be conducted by Pandit Bhagwat Dayal University of Health Sciences, Rohtak. For MBBS, BDS merit seats in Government aided medical colleges of Haryana domicile students will be allowed. 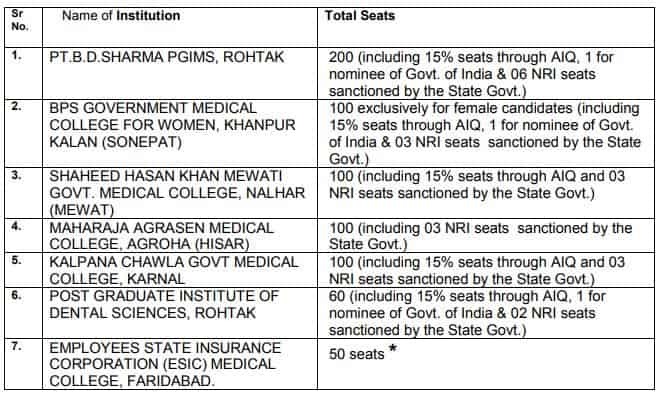 For MBBD, BDS seats in private medical & dental colleges 50% of the seats will be reserved for Haryana state students and 50% of seats are under NRI & Management quota seats. Management & NRI quota seats students from other states & NRI students can apply. Online registration fees will be 4000 INR for general category students, 1000 INR for schedule & backward caste students of Haryana state. Karnataka Exams Authority will conduct the counseling for 85% of state quota seats in Private, Government & Minority medical & dental colleges of Karnataka. Counseling will be conducted for admission in Rajiv Gandhi University Of Health Science medical & dental colleges of Karnataka. One year rural service is mandatory for all students after completing MBBS course from Karnataka medical colleges under RGUHS. Indian, NRI, OCI & PIO students who have qualified NEET UG 2018 are eligible to apply for admission in Private medical & dental colleges of Karnataka. All registered students must complete the document verification process to participate further in counseling & seat allotment. Students from outside Karnataka state are only allowed for private quota & Management quota seats. NRI, OCI & PIO quota students are only eligible for NRI quota seats in Private colleges of Karnataka. You must register online through KEA online portal to participate in counseling. The Office of the commissioner for Entrance exams (CEE) will conduct the counseling for 85% state quota seats in government & 100% seats in self-financed private colleges including Minority & NRI quota seats. Notification for the counseling & online application form is available on Kerala Engineering Architecture Medical entrance exams (KEAM). 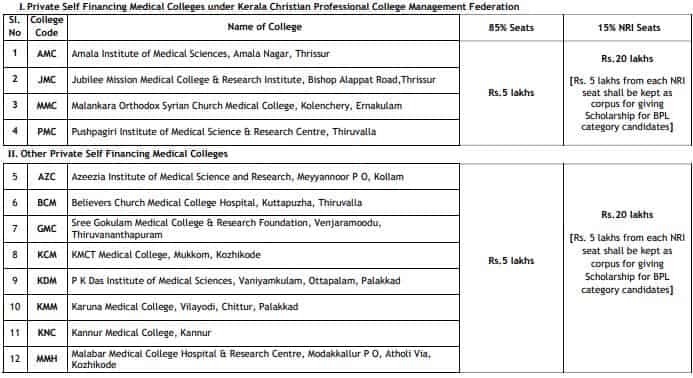 NRI, OCI & Kerala domicile students are only eligible to participate in the Kerala MBBS, BDS state quota counseling. A merit list will be prepared for those of You who have applied online based on NEET UG 2018 score. You must also submit a refundable security deposit of 11 lakhs for 35% of Management quota & 15 lakhs for 15% NRI quota seats. Also, You must provide a Bank guarantee of the total MBBS course fees for admission under Management & NRI quota seats. Directorate Of Medical Education & Research (DMER), Maharashtra will conduct the counseling for 85% state quota seats. The counseling will be conducted for admission in government, private & minority colleges under Maharashtra University of Health Sciences (MUHS). The cost of the online application registration form is 1000 INR to apply for DMER counseling. Maharasthra state domicile, NRI & OCI students are only eligible to particpate in state quota counseling. NRI students on all India basis are eligible to participate in counseling for NRI quota seats in private colleges of Maharashtra. Overseas citizen of India (OCI) are eligible to participate in counseling for government & private medical college. OCI candidate who has completed their class 10th & 12th form Maharastra with domicile certificate are only eligible to participate in counseling. It is mandatory for all students who have applied for the counseling to complete the documents verification process by visiting the verification centers in person. A provisional state list will be prepared on basis of information submitted by the candidates. Directorate of Medical Education, Madhya Parseh will conduct the counseling for MBBS & BDS courses for government & private state quota seats. For 85% MBBS, BDS State quota counseling MP domicile, other state & NRI candidates can register for online counseling. In the 1st round of Madhya Pardesh state quota counseling seats will be allotted only to domicile & NRI students. In the 2nd round of MP state quota counseling, vacant seats in Private medical & dental colleges will be allotted to other state students. 15% of seats in Private medical & dental colleges of Madhya Pardesh are reserved for NRI students. Out of 85% of seats, 20% of seats will be reserved for Scheduled Caste, 16% of seats are reserved for Scheduled tribe & 14% of seats are reserved for OBC students of MP State. 3% of seats will be reserved for MP domicile physically handicapped students. Directorate of Medical Education & Traning (DMET), Odhisa, Bhubaneshwar will conduct the counseling for 85% state quota seats in medical & dental colleges. Only Odhisa native students are eligible to apply for state quota counseling. NRI students can only apply for admission in private medical & dental colleges of Odhisa under NRI quota seats. 12% of the seats will be reserved for the scheduled tribe, 8% seats for scheduled caste, & 5% for green card holders. Punjab MBBS, BDS Counseling will be conducted by Baba Farid University of Health Science (BUHS), Faridkot. Domicile students of Punjab who have completed their 10th & 12th for the same state are only eligible to apply for the Punjab State quota seats counseling. Cost of Online application form is 5000 INR for general category & 2500 INR for Scheduled Caste students. Only Minority students can participate for minority quota seats in counseling. NRI Students are also allowed to participate in the counseling for NRI quota seats. In Private medical & dental colleges of Punjab 50% of seats are under government quota and 50% of seats including Management, Minority & 15% NRI seats. Centralised Admission Committee (CENTAC) will conduct the counseling for 85% of MBBS, BDS quota seats in Puducherry. Puducherry Domicile students, All India students & NRI students can apply for the counseling. NEET UG passed students and NRI students can apply for Management & NRI quota seats in self-finance private colleges of Puducherry. Rajasthan MBBS, BDS Counseling will be conducted by Rajasthan University of Health Science (RUHS), Jaipur. RUHS Counseling will be conducted for 85% of seats in government aided medical colleges including NRI Seats. Also, RUHS Counseling will be conducted for 85% of seats under private medical colleges & 15% of NRI & Management quota seats. For seats under government & private medical colleges, Rajasthan domicile students will be allowed to participate. NRI students are eligible to apply for government & private medical colleges seats in Rajasthan. Other state students are only eligible to participate for 15% Management quota seats in Rajasthan. Allotments of NRI & Management quota seats will be done as per all India NEET UG rank. Online registration fees for counseling is 2000 INR for general category students & 1200 INR for SC & ST category Rajasthan domicile students. Tamil Nadu state quota counseling will be conducted for admission in government & private colleges affiliated under Dr. MGR University Of Health Science. Health & Family Welfare Department, Government Of Tamil Nadu will conduct the counseling for MBBS, BDS state quota seats. All India students can apply for MBBS, BDS courses under Management quota for self-financed medical & dental colleges. NRI students can also apply for NRI quota seats in Self-financed medical & dental colleges. 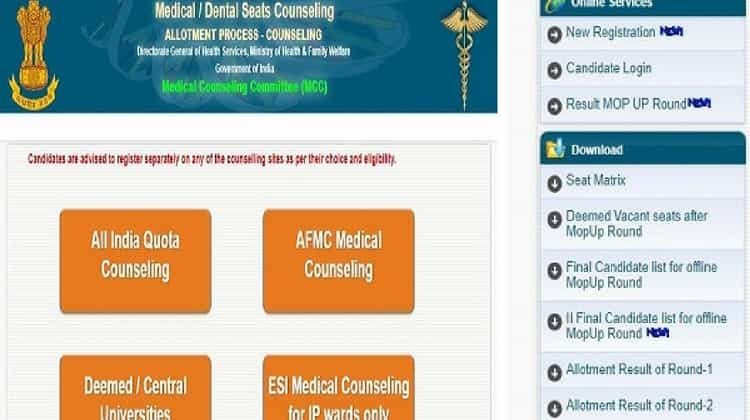 Tamil Nadu domicile students are only eligible to apply for Government medical & dental colleges & Government quota seats in self-financed private dental & medical colleges. Application Form for state quota counseling is available on the website. Students who want to apply for the counseling must download the application form and fill the same manually. The application form along with students documents must be submitted along with a Demand draft of 1000 INR in favor of the secretary of the selection committee. Your application form must reach to the secretary of the selection committee, Kilpauk, Chennai before 19.06.2018. Counseling for MBBS, BDS seats in Telangana will be conducted by Kalonji Narayan University Of Health Science (KNRUHS), Warangal, Telangana. Counseling will be conducted for admission in Private medical & dental Colleges under Kalonji Narayan University of Health Science, Telangana. Management quota seats (B category) & NRI quota seats (C category) Indian & NRI students can apply for Telangana state quota counseling. For Muslim minority colleges, only minority students are eligible for selection in first round of counseling. Uttarakhand MBBS, BDS Counseling will be conducted by HNB Uttarakhand Medical Education University (HNBUNU), Dehradun. The Cost of the Online registration form is only 2000 INR for all category students. Domicile students or permanent residents of Uttarakhand state can only apply for MBBS BDS reserved seats available in government & private medical colleges. Other state students are only eligible to apply for Management quota seats in Uttarakhand state quota counseling. Also, Kashmiri Migrants can apply for 1% of seats reserved in Government medical colleges of Uttarakhand i.e only 3 seats. Cost of the online registration form is only 1000 INR for all category students. UP State domicile students can only apply for Medical & Dental colleges in government quota seats. All India students can apply for admission in private, minority medical & dental colleges. 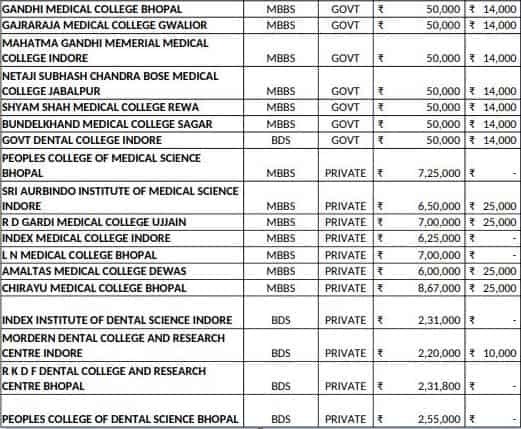 To participate in UP MBBS BDS counseling you must deposit security fees of 20 thousand INR for government colleges & 2 lakhs INR for Private medical colleges. Some percentage of the Seats will be reserved for scheduled caste & backward class students in UP Government Medical & Dental colleges. There will be no reservation of seats in Private colleges, only high tuition fees per annum have to be paid. 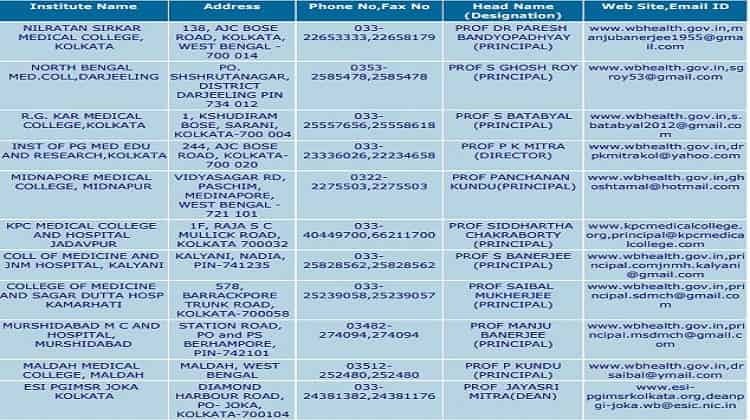 West Bengal MBBS, BDS Counseling will be conducted by West Bengal Medical counseling committee (WBMCC). Registration fees for counseling are 2000 INR for Unreserved category & 1500 INR for SC, ST, OBC & PH category. West Bengal Domicile students are eligible to participate in both government & private management quota seats. Non Domicile students are only allowed to participate for Management quota seats in private medical & dental colleges. Counseling will be conducted for admission in West Bengal government quota seats, management quota seats & NRI quota seats in Private medical & dental colleges. A separate list will be prepared for government quota seats & private medical colleges management quota seats as per online registration. For Management quota seats You will be only allowed to select the colleges after completing the document verification process successfully. You also need to deposit 1 lakhs INR to participate in counseling for Government quota seats. Management quota seats in Private colleges security deposit has to be submitted before to participate in the counseling as desired by private colleges of West Bengal. If you quit the seat the upgrade seat in the second round, the security deposit will not be refunded. 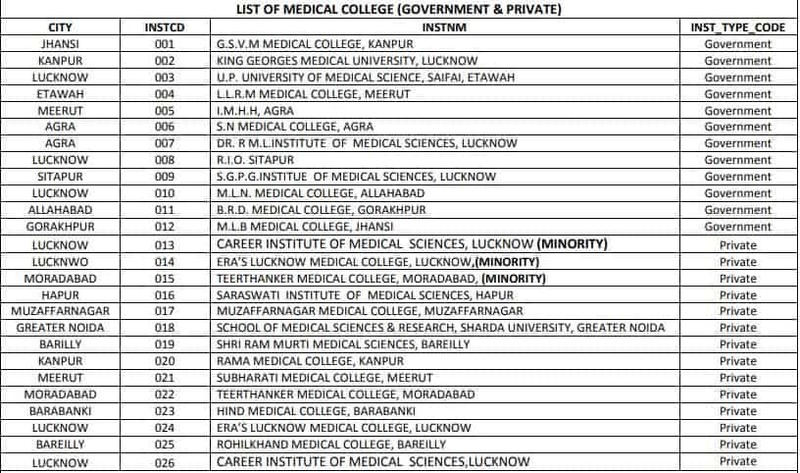 There are only 63450 MBBS seats in India as per latest MCI & 26790 dental seats in India as per DCI including private & government sector colleges. 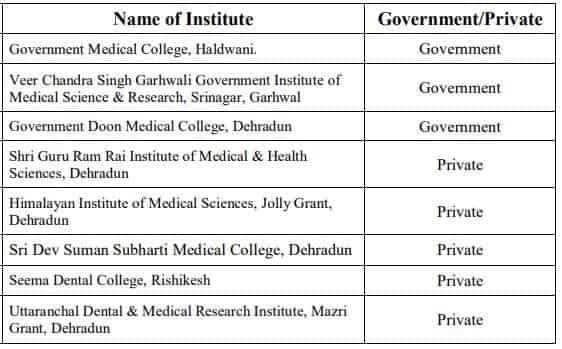 Ministry of Health & Family Welfare (MOHF), New Delhi has barred more than 80 medical colleges in India and not given permission to start 60 new medical colleges as per the recommendation of MCI for academic sessions 2018-19. The Ratio of Number of medical seats to the Number of students who have qualified for NEET UG entrance test is around 1:10 which makes it very difficult for all students to study MBBS in India. BDS Dental demand is not more as there is very less scope for Dental doctors in India. I have done a complete analysis to give You complete details about NEET UG Counseling for Government, Private, Central Universities, Deemed medical & dental colleges in India. If you have qualified NEET-UG entrance exams, You can grab your MBBS or BDS seats easily through the common counseling. Seats will be allocated to You as per Your marks scored in NEET UG entrance test. If You who have NOT good percentile in NEET UG and rank is very high can prefer to go for Deemed Medical colleges & Management quota seats in Private Medical Colleges. Online registration for state quota seats and MCC counseling have started, You can apply now to participate in the counseling. Also, the rules, regulation, dates, seat matrix and other details are available on the official counseling website. I suggest You to only refer and visit the official website to get the complete & correct information about the counseling. Sign Up for the Newsletter to get more updates related to MBBS & BDS counseling 2018. Dear Sir, Please clarify that, is the deemed universities counseling shall be only done by MCC or is done by the state also and any state seats are also available under deemed universities? MCC Counseling will be conducted for 15% of ALL India Quota seats, Deemed, Central Universities, ESI & AFMC Colleges. State quota counseling will be conducted for 85% seats in Government colleges & 100% seats in private colleges. Well studied report with clarity. Appreciate the sincere effort. Sir, My Neet score-2018 is 466 marks AIR 36177, from Kerala, UR category. Am I able to apply to Karnataka MBBS course in Private college under low fees category? (NOT NRI QUOTA, which I cannot afford huge amount) if so how much will be on yearly basis? as well as the Hostel fees? Is there any charges are to be paid other than Yearly Tuition Fees, Hostel Fees? You can participate in KEA Karnataka Counseling, Since your marks are good you will get a seat in 6 to 7 lakhs per annum fees, hostel fees is around 1 lakhs per annum. Sir, I have registered for MCC, deemed BDS college. If I get a government seat in BDS in Karnataka state then will I get my registered amount back from MCC? You can get a seat for BDS in Karnataka, You can quit the MCC counseling after 1st round of seat allotments to get back your security money deposited. Hello, I have qualified the NEET UG 2018 exam but when I tried to register on MCC website for counseling they showed a dialog box with a message saying you are not permitted to register. Will I be able to register for the second round of counseling? Whats you NEET UG Score? Hello sir, my NEET UG score is 120 and I got rank of AIR 628000. Is there any chance that I can get MBBS or BDS seat in Karnataka .if yes then what will be the fees structure? Should I register in MCC? You will get admission in Karnakata for MBBS & BDS under Management/NRI quota seats, If you want a seat in Karnataka register for KEA not for MCC. Can I enter directly to 2nd round of coucelling in MCC, if I haven’t registered in 1st round? Yes, You can participate in the 2nd round of MCC counseling by paying 5k registration fees and 2 lakhs security deposit. My NEET UG score is 137 and I got rank of AIR 552710. Is there any chance that I can get MBBS or BDS seat in Karnataka or in Maharashtra. You will only get MBBS, BDS Management Quota seats in 137 score. My daughter score under NEET-UG 105 belongs to OBC and studied in UAE it falls under NRI even our domicile in Tami Nadu applied state counseling too. I got 184 in neet 2018. Is there any possibility for getting a seat under state and all India quota other than a deemed university? No sir, you might not get in All India quota or merit seats in state quota counseling. Hello, if I am not allotted a college in the first round or if it is a college I don’t like and opt for the 2nd round of counseling, will I get a refund if I am not allotted a college in the 2nd round or if I don’t want to part in that? Can I apply for era medical college although I’m not from UP? And will I be considered eligible for UP state counseling? If you don’t get a seat in the 2nd round, you can quit the counseling and deposit will be refunded, if you get an upgraded seat in the second round you must not vacate the seats otherwise you have to pay a penalty of 2 lakhs INR. You are eligible to apply for UP Private medical colleges too. Will I get back my 11000 rupees including tuition fee if I am don’t get a seat in 1st or 2nd round counseling? Only Security Deposit will be refunded, the registration fee is non-refundable. Whether I am eligible for state counseling if allotted a seat in the 1st round of DGHS? if yes, will I get my security deposit back? You are eligible for state quota counseling, Deposit will be refunded if you quit the allotted seat in the 1st round of MCC counseling. Can I get a government Bds college with 210 marks in the state of West Bengal with state quota? Yes, You can check the same by participating in WBMCC Counseling. Hello Sir, I got 226 in NEET. In the options of MCC counseling online website, there were options for me to select from both Management/Paid seats and NRI seats and I chose my option for Management/Paid seats first and then NRI seats. This is because the fees were less for Management/Paid seats when compared to NRI seats. I am an NRI having OCI card. My question is, whether I should have chosen only NRI options or I am eligible to choose both Management/Paid seat option as well as the NRI option?. Please be more careful Srikant Otherwise You will have to pay a penalty of 2 lakhs, Choose NRI Seats only. Sir, I have scored 222 marks in neet 2018. Which private college I can get for BDS course? Private Dental colleges of Karnataka. Sir, I have got 180 marks and I have registered for deemed colleges and now Uttar Pardesh registration is going to start. so can I also register for UP State counseling? And if I get college in deemed or UP Private College will the security deposit would be adjusted in the fees or it will be refunded? The amount will be adjusted in the college tuition fees. I scored good marks for getting a seat in Tamilnadu. I have also applied for ALL India Quota seats. I didn’t get a seat in 1st round counseling. Before the 2nd round, my state counseling starts. I like to get a seat through my state counseling. Can I attend my state counseling without any problem? I didn’t want to go for a 2nd round. What should I do to get my security deposit and Participating in my state counseling? please explain this concept and give me a proper guidance. Don’t worry go for Second Round of MCC Counseling, Also participate in Karnataka and Tamil Nadu state quota counseling. If I don’t get a seat in the 1st round and I opt for the second round will I have to again pay for the counseling? No, Its one-time payment only. Can a student of any category having less percentile in his category in NEET 2018 can get admission in management quota of any state? Why MCI did not give permission to start 60 new medical colleges in 2018-19 though there is a demand of more doctors in India according to the population in comparison to other countries in the world; when these will be accepted by MCI? I have been allotted a seat in the 1st round. Is that mandatory to take admission at the allotted college for getting an up-gradation in the 2nd round? And after getting an upgraded allotment in the 2nd round, can I quit from the 2nd round and opt for State Allotment? You Cannot Quit, If you do so, You will be not eligible for state quota counseling too. Sir, I had allotted seat through All India quota in the first round and reported to allotted college and taken admission with the option for further rounds. Also allotted seat through state quota. Can I quit All India Quota counseling and take admission through state quota? Sir, I didn’t register in the 1st round so will I get a second chance to register it? The detailed info. you have provided is very helpful. Thanks for the same. My daughter did not get a seat in the 1st round, we want to quit from MCC as she has applied in the KEA. Please let me know how to go about doing (that is how to quit) this as we have a refundable deposit of 2 lakhs. Don’t report to the college in 1st Round of Counseling, if no allotment is done, Don’t participate in the 2nd round of MCC Counseling, Deposit will be credited to Your Bank Account. if I register myself for the second round and if not allotted any college. can I exit the whole process and will I get my deposit money back? I have not registered for first counseling. Now I want to get registered for 2nd counseling? Can I do so? If yes then how. I m not able to do it. You can register for Second Round of Counseling, You can visit our Consultancy in Bangalore for MBBS Paid Counseling. thank u so much for this info sir. I am from Rajasthan domicile I have got 409 marks in neet 2018 sir I have not applied for Karnataka 1st round counseling can I apply for the 2nd round? and will 2nd counseling in Karnataka manual or online? KEA might schedule a registration for 2nd round counseling after 1st round of Seat allotments. 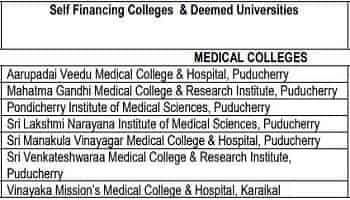 My daughter got admission in self-financing medical College in Tamilnadu for MBBS, I would like to know whether she is eligible for 2nd round All India Counseling and if selected, will I have to forfeit my fees. You can participate in All India 2nd Round counseling if you are not satisfied with 1st round of seat allotment in TamilNadu State quota counseling. Sir, for 2nd round registration I have to pay 500 non-refundable and 5000 refundable fees for SC category on the same challan or have two different. Hi sir, In mop-up counseling, only the candidates who have registered in MCC will be able to take part? Fresh registration can be done MOP-UP Counseling, those who have got the seat in the 1st or 2nd round will not be eligible. I got 166 marks in neet and I m from minority category. can I have the chances of getting an MBBS seat and I’m from Karnataka and my AIR is 461000? Only Payment seats can get with 166 Marks in NEET. I am not NRI. But by mistake, I filled only one incorrect choice through NRI in DMER. So what will happen now? 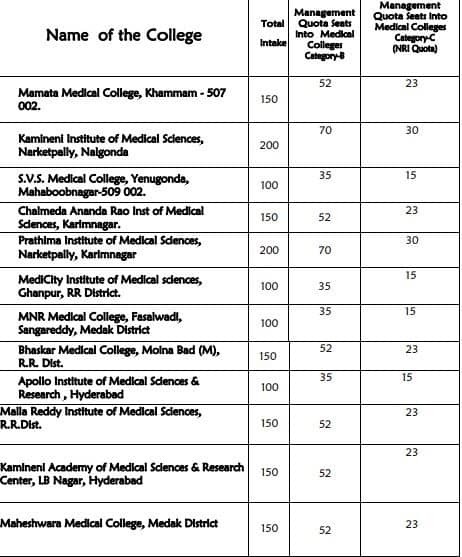 You can Join MBBS/BDS Colleges in Karnataka under Institutional Preference Management Quota Seats. sir, I have not got any seats in the 1st and 2nd round. When will I get my refund of 2 lakhs? Do I need to participate in mop up and stray vacancy for getting a refund? If yes, What will I do if there is no college available in mop up that I prefer? You can participate in the Mop Up Round counseling if your preferred college’s seats are available otherwise money will be refunded after Mop Up Round, Stray Vacant seats will be allocated through college counter in the same fee as fixed by colleges. sir if I did not report to the allotted college in mop-up counseling. So do I eligible for state counseling? Don’t participate in the Mop Up round counseling or choose any college options. Sir, please tell me when the Telangana state 2nd counseling will start and I have applied for only A category in 1st round counseling, not for B and C category but now I have not got a seat. In 2nd round counseling even I want to apply for all categories but still, the counseling has not yet started and all are saying that colleges also started so am tensed sir plz… tell me, sir. Don’t worry college will start after 31 st of August for the academic session 2018, Second round details are not published yet on KNRUHS Website but it will be announced soon. Sir, What is the procedure to fill vacant NRI Seats in Deemed Universities? Are they converted in Management Quota Seats? and In which round? and What will be the fees of these converted seats? NRI quota seats might be converted into management quota seats, NRI & Indian students can join otherwise it will remain vacant. Whats the procedure of stray round after mop round? When will it take place for neet ug 2018 for Mbbs? Stray Vacancy Counseling for vacant seats will begin from 27th Aug 2018, Contact us for spot admission in Deemed Medical Colleges, Only MCC Deemed Medical Counseling registered students who have not allotted any seat via counseling are eligible. How to know stray vacant seats? Visit MCC.NIC.IN. to know more about Deemed Medical Colleges vacant seats. 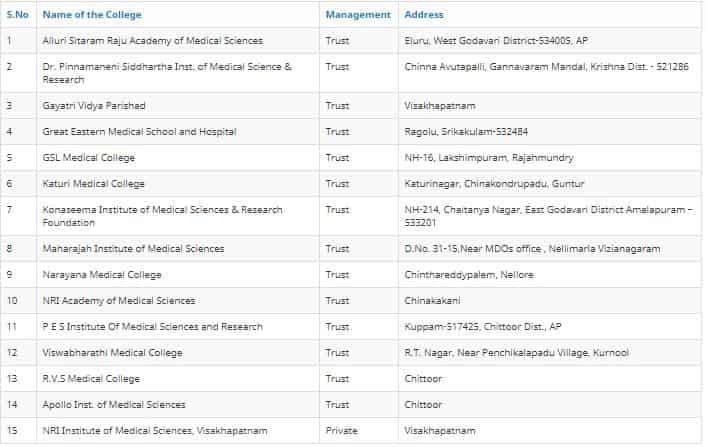 Neet Score is 264 and eligible for the Stray vacancy in deemed Universities, Can I get a good package in Karnataka, Tamil Nadu or Pondicherry. Yes, 31st is the last date for MBBS Admission. Visit us with your documents for MBBS Spot Admission. I got bds in the 3rd phase of web counseling if I don’t get MBBS seat in the mop-up round will my bds seat will be reserved or will it get canceled? Study BDS Dental, No seats for MBBS only 1k seats left for MBBS Admission in Deemed Colleges.